BALTIMORE, November 12, 2018 /3BL Media/ - As a young man stationed in the Persian Gulf with the United States Army, Doug Comer learned firsthand the significance of receiving a care package from the United Service Organizations (USO). “The USO extends a piece of the United States to whatever corner of the world you happen to be in," explains Mr. Comer, who is now head of client development for individual investors at T. Rowe Price. “It really meant the world to receive that support from home, and I saw it reinvigorate people's passion about the cause we were overseas for." 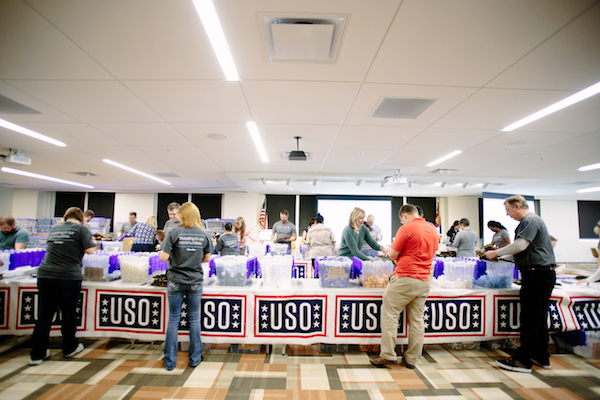 In advance of Veterans Day on November 11, T. Rowe Price associates are worked with the USO to assemble 17,5000 care packages –up from last year's 14,000– at its locations in Maryland, Colorado, and Florida. 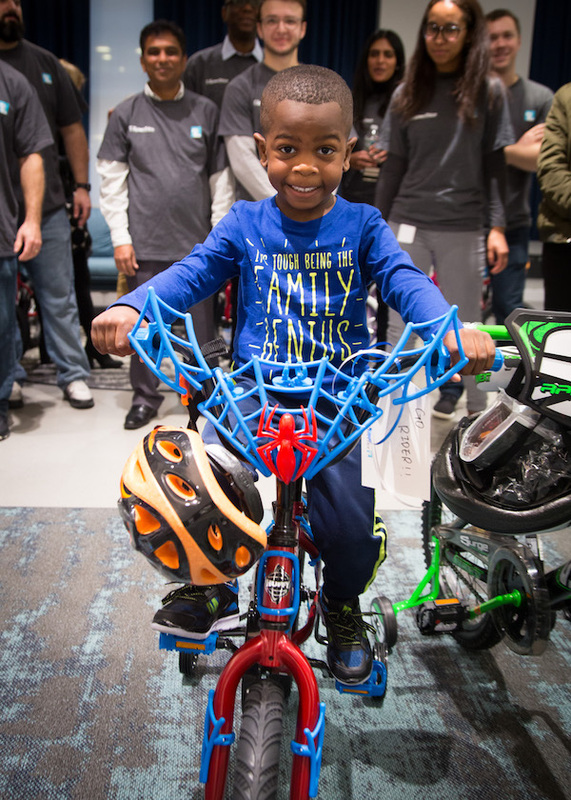 Associates in the New York office were also busy assembling 25 bicycles for children of active-duty servicemembers. And at the USO's Fall Fest in Germany (near the firm's Frankfurt office), T. Rowe Price volunteers offered financial education content, through the firm's Money Confident Kids Program to more than 700 servicemembers and their families. 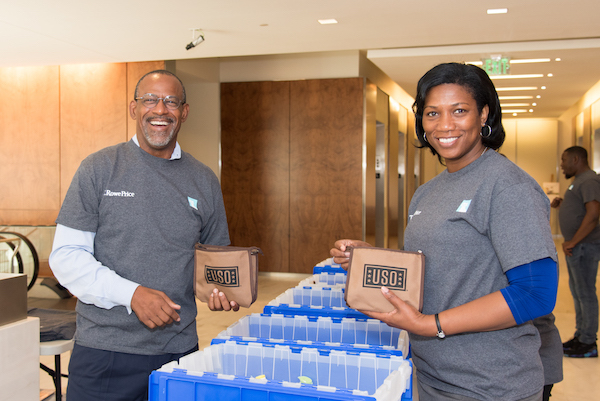 "Supporting veterans, and, by extension, the USO has been such a rewarding experience," says assistant vice president Watikqua Lange. 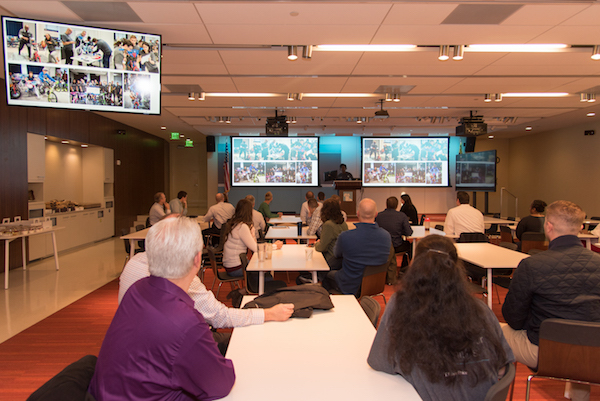 "Garnering support for this mission was effortless as our associates have many connections. They have served or have a personal connection to a family member, neighbor, or colleague." 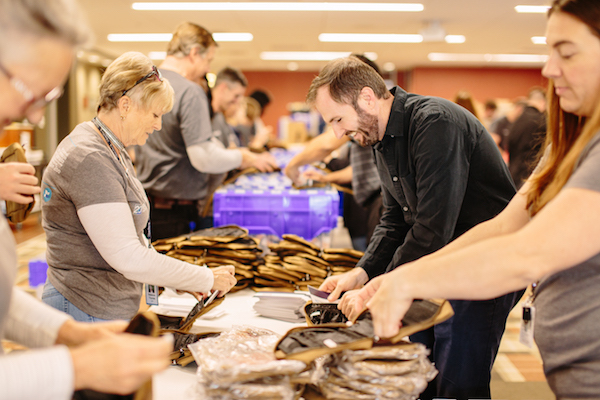 Mr. Comer served in operations Desert Shield and Desert Storm, so it was particularly poignant for him to participate in one of the daylong USO care package assembly events. Before the event kicked off, he and approximately 40 other associates enjoyed a special breakfast to honor associates who have served. 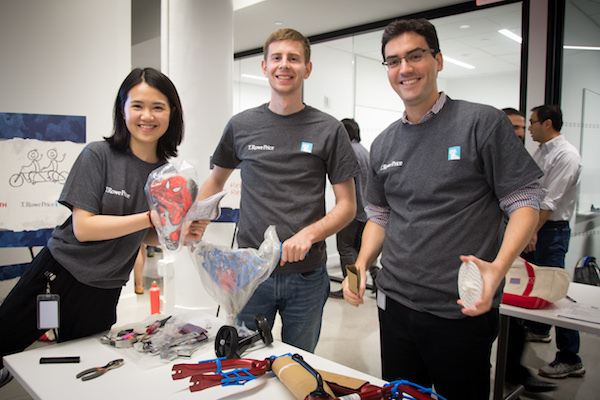 “Veterans Day is a time to show our gratitude to the servicemembers who have sacrificed so much on our behalf," explains Renee Christoff, Head of Global Associate Engagement + Corporate Responsibility at T. Rowe Price. “Our partnership with the USO has given us a meaningful opportunity to put our values into action and have a positive impact," she says. 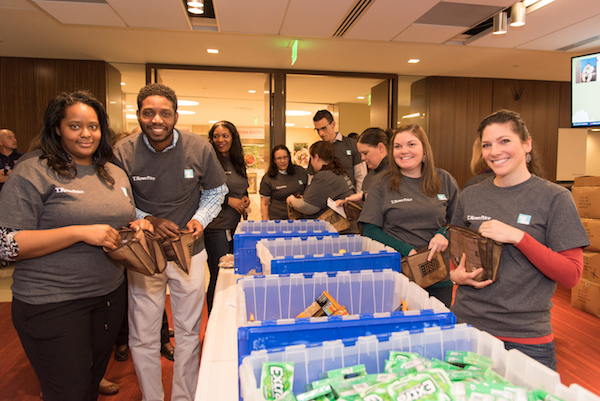 “Being able to express our thanks in this small way means a lot to T. Rowe Price and its associates." Further west, Jacob Pruitt participated in the assembly event at the Colorado Springs office, where he is a T. Rowe Price vice president. Also a veteran, he recalls with fondness his own receipt of a USO care package. "I remember being in a war situation where I got a package, and it really kept me going," he states. “I was sacrificing my life for my country, but I knew people back in the U.S. were thinking about me and wanted me to be successful." The care package tradition goes back to the USO's earliest years when Americans would send boxes of treats overseas to provide comfort and support to servicemembers. Today's care packages include small but meaningful reminders of home like granola bars, drink mix packets and small toiletries, for example. T. Rowe Price's commitment to the USO is essential because the organization is not a government entity. As a congressionally-chartered, private organization it relies on volunteers to fulfill its mission. 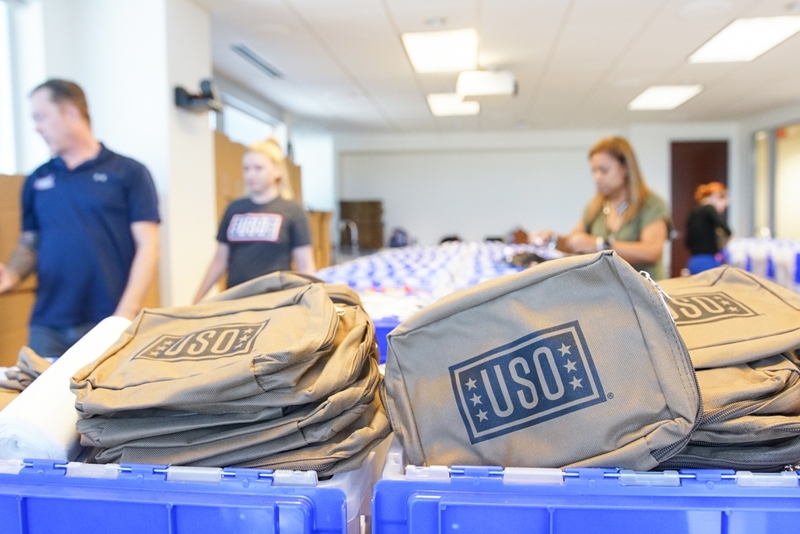 The USO has more than 200 locations around the world and will distribute the T. Rowe Price packed care packages across the globe. Now, as a T. Rowe Price employee, Doug Comer still values the firm's relationship with the USO as he recalls receiving that first care package as a servicemember. “A lot of what happens across the military enables us to live the way we do in the United States. Whether it's the businesses we work for or the way we are able to raise our families, we have our military to thank for that," he says. “That cause is essential to everything we are as Americans and as associates at T. Rowe Price." What Can Tween Literature Teach Us About Peace and Racial Equity?